All Contract Floor Coverings Employees, its’ customers, suppliers, and the regions in which Contract Floor Coverings Pty Ltd operates have a right to expect excellence in Occupational Health and Safety Performance. 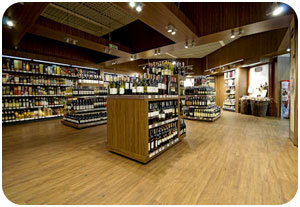 It is Contract Floor Coverings Pty Ltd Policy to strive for the highest safety standard in our business sector. An important part of this strategy is for all staff to clearly understand their Workplace Health and Safety obligations and accept responsibility for themselves and others at the workplace. Contract Floor Coverings Pty Ltd will rigorously enforce all statutory requirements in Occupational Health and Safety Legislation and will manage the associated technical, administrative and human resource factors to a standard which will ensure compliance.